This bonus material is complimentary with your book purchase. If you found this page but haven’t had a chance to read the book, please grab a copy today! We appreciate your support for the book. Same Side Selling is the idea of solving a puzzle, finding a FIT; instead of playing a game. 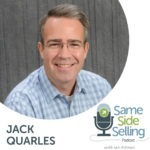 Discover how to sell with integrity from the same side of the table for better results all around. 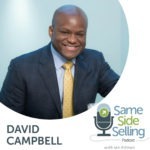 Join the private Facebook community for business professionals to explore and share the proven integrity-based approach of Same Side Selling. Members gain access to videos, tools, techniques, interaction, and inspiration you need to become more successful. The best part there is no cost to join!